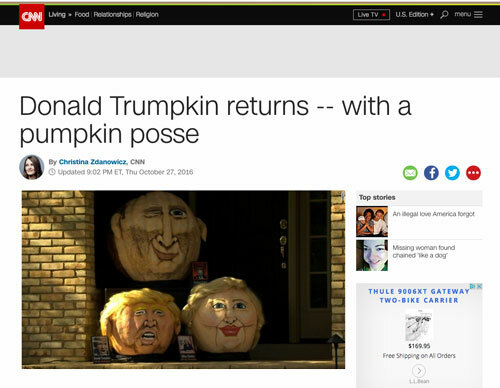 Trumpkin is back and this time he's brought friends - Clintkin and Putkin - in a crazy election year. 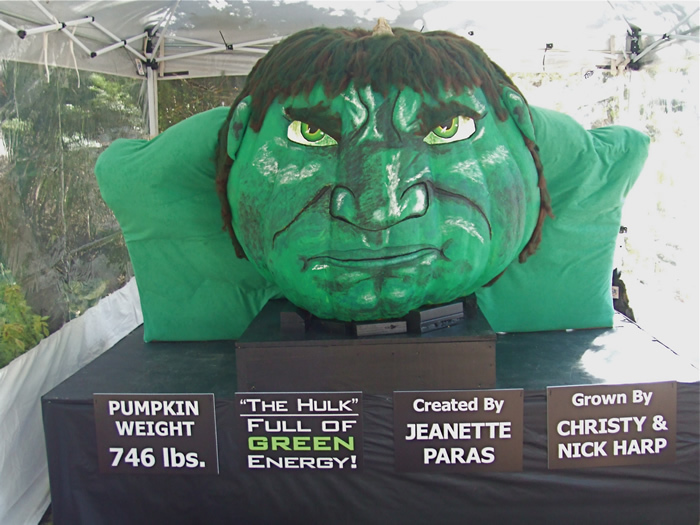 This giant pumpkin, weighing 374 lbs. 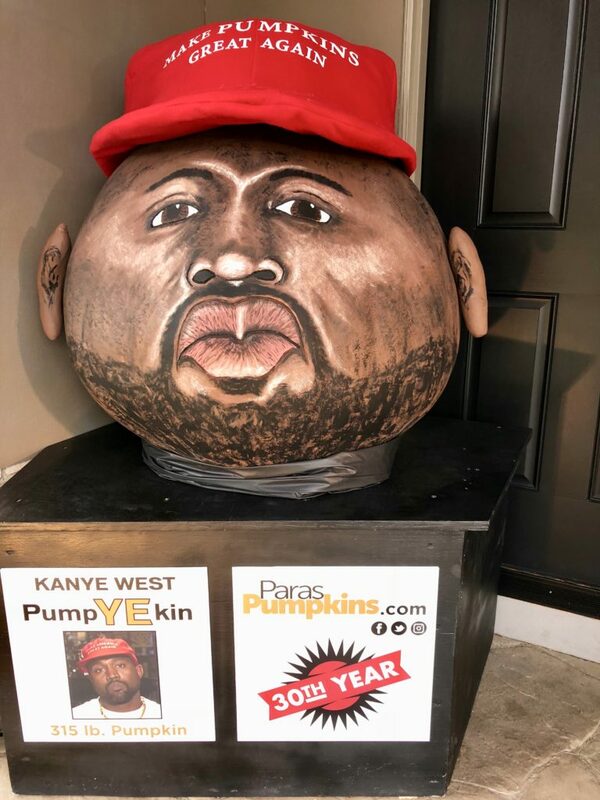 and took 10 hours to create, made headlines around the world. 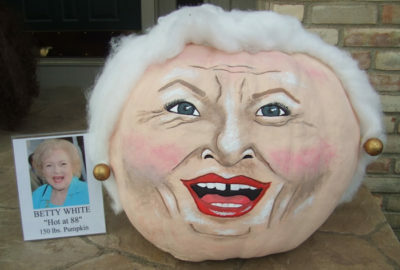 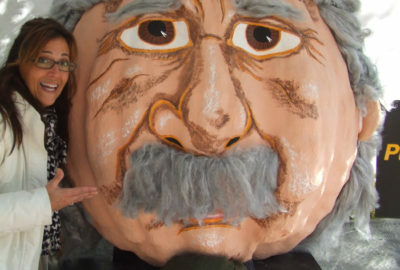 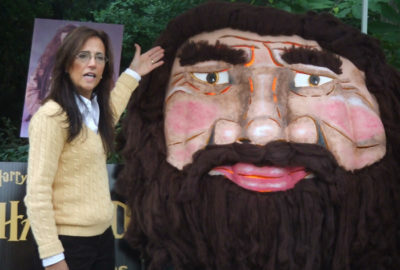 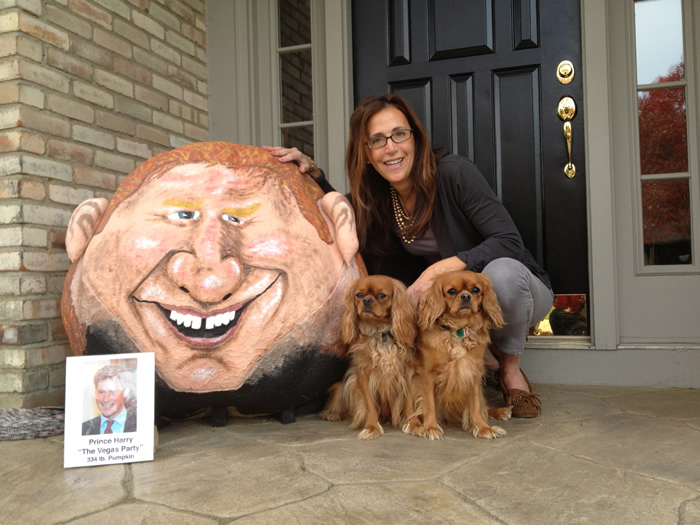 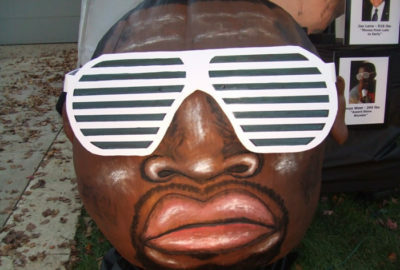 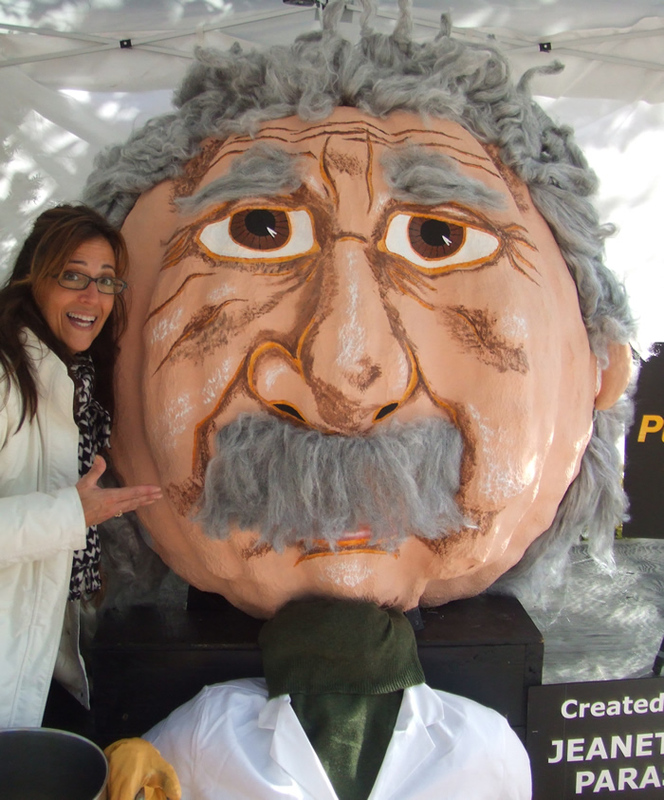 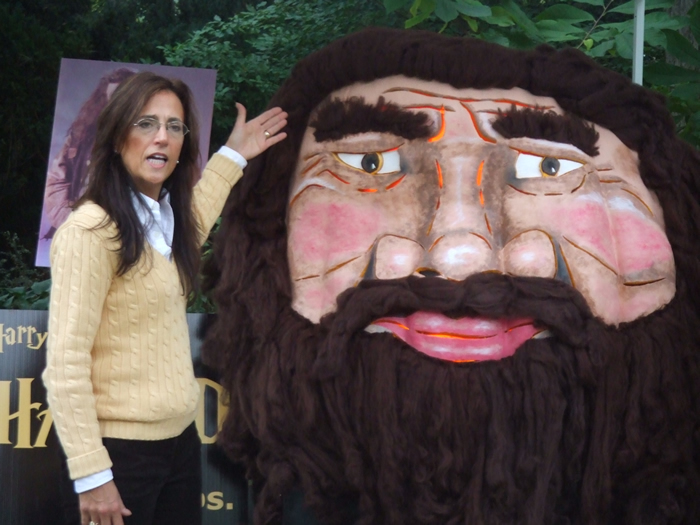 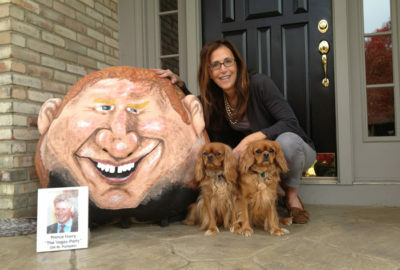 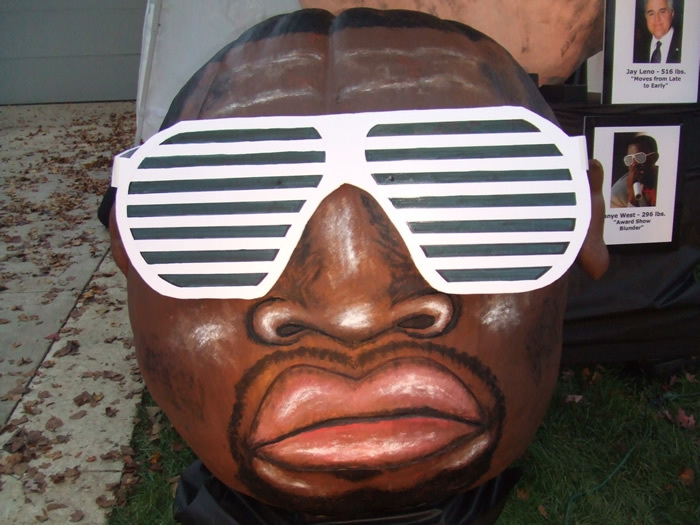 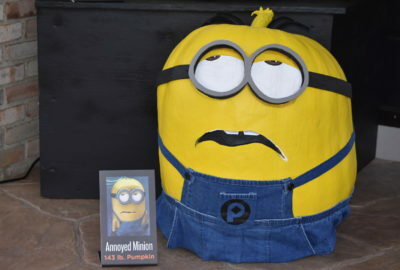 Jeanette Paras has been creating giant celebrity pumpkins for decades. 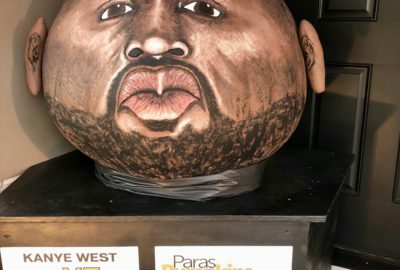 For more than 25 years, Jeanette Paras has been creating giant celebrity pumpkins in the studio (aka ‘garage’) of her Dublin, Ohio home. 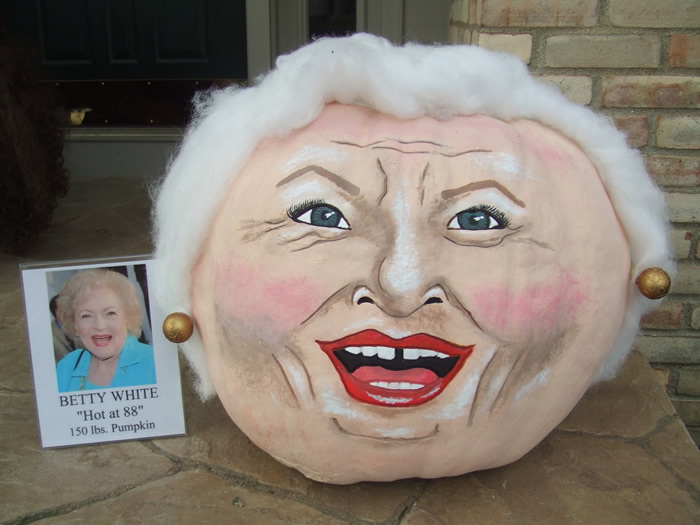 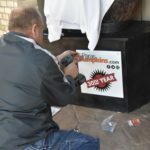 It is a labor of love, a passion and a Halloween tradition ... that has become an international phenomenon.